Obituary for Frank J Nastro | Flinch & Bruns Funeral Home, Inc.
Frank Joseph Nastro Sr. of Lynbrook and Naples, FL died on Tuesday, February 12, 2019 at his daughter Laura's house. Frank was born on October 26, 1930 in Brooklyn, NY, the youngest son of the late Frank and Elvira (Maresca) Nastro. He was raised in the Bay Ridge section of Brooklyn and attended Manual Training HS where he was a standout football player. Upon graduation, he was awarded a full football scholarship to the University of South Carolina. After one year at South Carolina, Frank enlisted in the Marine Corps and spent two years of his enlistment playing football for the Camp LeJeune football team. Frank married his beloved wife, Doris McMahon, on February 6, 1954 after his honorable discharge from the Marines. 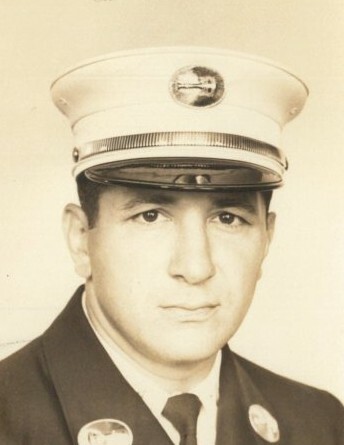 In the fall of 1956, he began coaching football at St. Francis Prep in Brooklyn and in February, 1957 he joined the Fire Department of the City of New York.. Frank was lucky to have two very successful careers which brought him great satisfaction and fulfillment while impacting many lives. In 35 years of coaching at the Prep in Brooklyn and Queens, they won the CHSFL Championship 14 times. During his 37 year career with the FDNY, Frank rose through the ranks, retiring as the Assistant Chief of the Department in 1994. In addition, Frank always worked a number of side jobs to provide for his growing family. Education was always important to Frank and his one regret was not graduating from South Carolina. In 1973, he returned to school at St. John's and over the next 10 years earned his degree in Athletic Administration. Frank was an avid horse player, NY Giants fan and gifted athlete. He played football, softball, hockey, golf and won a gold and silver medal at the World Police Fire Games. After retirement, Frank and Doris traveled extensively with their extended group of friends but his favorite trip was when just the two of them drove cross country. Frank leaves his loving children, Elise (Doug) Rosenberry, Paul, Laura and Francis (Nancy) Nastro. He is the cherished Grandfather to Drew (Stephanie) and Devon (JonEric) Rosenberry and Emma and Grace Nastro. He is also survived by his brother, Daniel and his wife, Margaret, and his sister-in-law, Maureen McMahon as well as many loving nieces and nephews. Relatives and friends are invited to visit with the family on Sunday, February 17,2019 from 3:00 -8:00 PM at Flinch and Bruns Funeral Home, 34 Hempstead Ave., Lynbrook. A funeral Mass will be celebrated on Monday, February 18, 2019 at 9:45 am at Our Lady of Peace RC Church, Lynbrook. 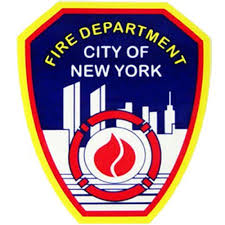 In lieu of flowers donations may be made in Frank's memory to Ray Pfeifer Foundation, www.theraypfeiferfoundation.org, FDNY Engine 40/Ladder 35. 131 Amsterdam Ave. NY,NY 10023.